Slip and fall accidents account for 15 percent of all accidental deaths in the nation and rank second only to those involving motor vehicles. As a experienced slip and fall lawyer in Puyallup, Dan Haire has successfully represented many victims whose injuries occurred as a result of a dangerous condition while lawfully on the property of another person or persons. 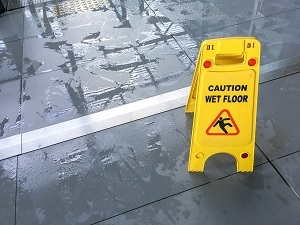 Whether you are a victim of work-related injuries, icy walkways, wet floors, poorly-lit stairwells or any of a number of similar incidents, you are undoubtedly questioning if you have a case, and if so, what it is worth. It is important for victims to understand that there is a strict time element for filing legal claims, so time is of the essence. Call Dan Haire-Attorney at Law to schedule a free consultation and case review. There is no fee unless you win! As an experienced slip and fall attorney in Puyallup, Dan Haire has successfully helped many clients through what is known as one of the most difficult types of injury cases to demonstrate and prove. Because these types of mishaps can cause life-altering injuries that frequently require time from work, emergency surgeries and even life-long medical attention, it is crucial for property owners to ensure that their properties can be safely traveled to avoid legal liability. If you are the victim of this type of mishap in a business, home, or rental property resulting from the negligence of another, you may be eligible for compensation for medical expenses, loss of wages, and possibly pain and suffering. These types of issues are complex and require a full understanding of the details associated with different types of insurance policies, and also adherence to exacting deadlines. Call his office today for a free consultation and case review. There is never a fee unless you win! If you have been wrongfully injured in a Puyallup slip and fall accident and are concerned about the cost of hiring a highly-qualified legal professional, call my office today for a free case review! 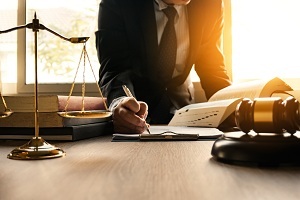 Valid studies indicate that injury victims who engage the services of experienced legal counsel with strong negotiation skills and knowledge of the laws receive in excess of three times the compensation prior to legal fees than those who do not choose legal representation.